The Three Rs: Rants, Raves and (Occasional) Reflections: Not My Brother's Keeper? A while back, Collin had an idea. The Motel 6 at South County closed. Collin wanted to go on Kickstarter and try to raise funds to buy the old motel and turn it into transitional housing for homeless families. I was proud of him for wanting to do something to make a difference--but almost everyone I told responded with, "It'll never happen." Before Collin could even post his proposal at Kickstarter, the old motel was torn down. Why didn't anyone believe it could work? Because it's no secret that area residents aren't exactly thrilled at the idea of homeless people living among them. Everyone thinks something should be done, but nobody wants it in their backyard. There's currently a battle being waged in a residential area not far from the former Motel 6 site. Residents have discovered that a low-income seniors residence is being built there by HUD, and they're angry. They don't want "those people" in their neighborhood. Is it that they think all low-income and/or homeless people are drug addicts and/or mentally ill--or is it just that they don't want homeless people nearby? Do they think homelessness is a contagious disease? Or do they expect to have people knocking at their door, begging? They say they're afraid, concerned for the safety of their children. Right. That, I suspect, is how they convince themselves that this plan has to be stopped. Sometimes it's easier to turn the proverbial blind eye and act as if the problem doesn't exist. Out of sight, out of mind. Hearing about the troubles of people who are struggling makes many--too many--uncomfortable. If they're face-to-face with it, they can't ignore it. "It's not my problem." I can't tell you how many times I've heard that. If you're struggling, nobody wants to hear about it. They want you to smile, act like everything's fine, and keep your problems to yourself. If you're living in a cardboard box, they don't want to hear about it as they're going home to their warm, cozy homes, their big-screen TVs and financial security. 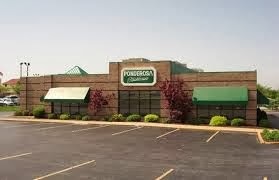 Now, the Ponderosa restaurant next to the former motel site is vacant. We had another idea: raise the money to start a pay-what-you-can-afford restaurant. Donate the profits to a food bank or shelter. I wonder...would that project be deemed acceptable by the area residents? Homelessness is a huge problem. Some of the homeless are those once housed in mental institutions before the feds cut off funding. Others are just down on their luck. I commend Collin for thinking of a solution. Unfortunately, government often seems to be the problem rather than the solution in most situations. Collin knows first-hand what it's like. He knows that not everyone down on their luck does drugs or is mentally ill--and you're right, Cheryl, government often is the problem. "It's not my problem." Speaks volumes of their priorities, doesn't it? Let alone their regard for society around them. There's also the mentality of "I've got what's mine, so screw everyone else." It's frustrating to say the least. Most forget that this is something that can happen to anyone, William. I once foolishly believed it would never happen to me...but it did. That is certainly a selfish attitude for them to have. What a great idea for Collin to come up with. I would love to have the means to do something like that. That's why he proposed putting it on Kickstarter, Krisztina. Last year, they raised over four hundred million for projects launched on their site. I think you hit the nail right on the head Norma.. it would make people far too uncomfortable to have to live side by side with those less fortunate.. It's such a worry when people lose their compassion. Good on Colin for even thinking about the idea. Thanks, Grace--I agree, when we lose compassion, we lose our humanity. I read a post on Facebook this morning about a dog who was leaving food in his dish every night--but it was always gone in the morning. Turned out he was leaving the food for a pregnant stray cat. What does it say about humans when animals are more caring for each other than we are? Thanks, Lynn! I hope he doesn't. He has such a good heart...sometimes it's hard to believe he's mine! I couldn't agree with you more, Old Kitty! We're not only guilty of stereotyping, we're raising our kids to be the same way. Good post, Norma! So true no one really gives a d$&@". Certain areas in Florida some of the homeless are treated like garbage. The well to do don't want them on the streets. A couple years ago, a church in St. Pete took a portion of their land and let the homeless set up camp. But the surrounding neighbors had a fit. So there's been a big fight. Sadly, this could happen to any of us. True, Shelly! There's a pastor here who runs a shelter--he's been arrested a couple of times for his activism on behalf of the homeless. Now there are "concerned citizens" who are out to shut down his shelter. He's truly doing God's work...but it's an uphill fight. That's sad. It seems almost impossible to make a move in the right direction, which is probably why so little gets done. Very few people will fight to help others when it's so difficult. I hope he finds a way to see his good intentions into reality. It is, OK. Once someone is homeless, it's very difficult for them to get past it. Collin and I were lucky. God was looking out for us...and sent two remarkable women into our lives who moved us into an apartment and helped us get back on track. Bleeping auto-correct! That's PK--not OK! I don't know what's happened in a country where most had a caring heart. It's as if it's un-cool to be poor or homeless or old or all three. But life doesn't have a delete button that erases challenges. It's sad, truly sad, how so many hearts have turned to stone when it comes to helping others. Big applause for you and Colin -- by trying, you've made a positive difference. It's sad indeed, Kittie, that too many people have the wrong attitude. But one person can make a difference, so change really does start with each of us.